Jean-Luc Mélenchon, a supposed far-left anti-neoliberal politician, came in fourth in yesterday’s first-round voting for the French presidency. He then announced that he won’t call on supporters to defeat neo-fascist Marine Le Pen of the National Front by voting for centrist Emmanuel Macron in the runoff election. Meanwhile, former Trotskyist and present left-media star Tariq Ali is calling for a mass abstention from voting in the second round. Some months ago, it might just barely have been possible to think that such people were well-meaning but misguided––that they had illusions that Donald Trump wouldn’t be so bad once he took office, that his candidacy represented a repudiation of politics (“anti-politics”) rather than proto-fascist politics, etc. But Le Pen heads a political party, and that party has been plying its neo-fascist politics for 45 straight years. What part of “National Front” don’t they understand? Actually, the anti-neoliberal “left” understands this all too well. Its problem is that it doesn’t care. All this stands in marked contrast to 2002, when all French democrats, including the whole left, supported defeat of Le Pen’s Daddy, Jean-Marie, by casting a vote for Jacques Chirac––who was certainly no better than Macron!––in the second round voting against Le Pen’s Daddy. “Vote for the crook, not the fascist,” they urged. As a result, Le Pen, who had received 17% of the vote in the first round, only got 18% in the second round; and France remained a bourgeois democracy. 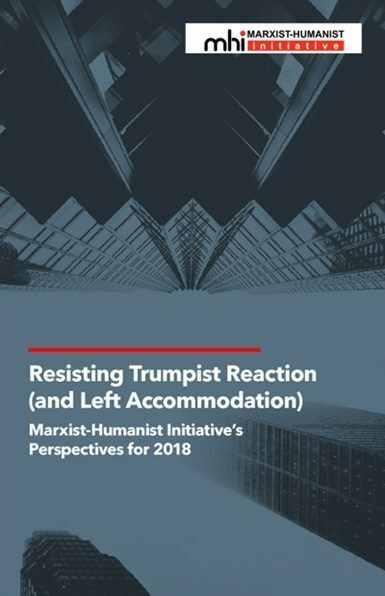 The special role of Marxist-Humanists in this struggle is to oppose the leftists who are pro-Trump, soft-on-Trump, or understanding of Trumpism. They need to be driven out of the left. As we said above, the left needs to stand for freedom and human rights for all once again. Once Trump was elected, and especially once he took office, the Resistance rose up. By condemning and struggling against all attempts to collaborate with Trumpism, it is dealing a body blow to the collaborationists who portray themselves as people of the left. Let us hope that French democrats likewise recall the lesson of 2002 and repudiate the implicit collaboration with the National Front that Mélenchon, Ali, and their ilk are urging. Tariq Ali- defender of Brexit. I would have expected him to put this position to be frank. Also I saw Melanchon refuse to give an interview to the BBC in English because it is an imperialist language. One report reads this “He later uploaded a video to YouTube in which he accuses the British of arrogance and ‘imperialism’. “They think the whole world should speak English,” Mélenchon complained, in Spanish. Well the “Resistance” is now compromising on abortion, supporting Trump’s bombing campaign, and talking about using his wall as a bargaining chip, so… lol. Freddie deBoer: I don’t know what your news sources are, but you are not describing the Resistance; you are describing some factions of the Democratic Party, which is entirely separate and different. MHI has consistently said that we do not support the Democrats or any party, and that the people in the streets are the only ones who can stop Trump. These people are telling their “representatives” in Congress not to cooperate with Trump in any manner, but they are not relying on Congress to stop him; rather, they are demonstrating their thorough opposition to all aspects of Trumpism in the streets every single day. This movement has a strong feminist content, and no matter the focus of the protest, women’s rights to choose and to have reproductive health care are always put forward on signs, speeches, etc. In the U.S., real politics takes place outside the established electoral parties. Please read our current editorial on the on-going movement–which has not slowed or compromised a bit since that was written. Freddie deBoer has a PhD in English and is a writing pedagogue (https://fredrikdeboer.com/cv/), so he’s undoubtedly aware of the strawman argument and other rhetorical tactics he’s employing. The worst part is the logically fallacious “you, too” argument (argumentum ad hominem tu quoque), which “takes the heat off someone having to defend their argument, and instead shifts the focus back on to the person making the criticism” (https://yourlogicalfallacyis.com/tu-quoque). Surely he’s capable, instead, of writing a short essay on “Why We Should Collaborate with Neo- and Proto-Fascists in the Struggle against the Evil Neoliberals” (or whatever). Also remember that Melanchon like Tariq Ali loved Brexit. The electoral consequence of which seems to be the stampede of the UKIP vote into the Tory Party. The apologists for the Brown-Red alliance now seem to be saying that the reason why the Tories are flying high is that Corbyn wasn’t pro-Brexit during the Referendum- even though Labour is now totally pro-Brexit and anti-free movement. 2 in 3 Labour voters were Remain. Does anyone know how these apologists can say Brexit had anything to do with a working class revolt? It’s funny how you whine about non-zionized Leftists making “false equivalencies” between supposed “fascists” and your neoliberal friends, when groups like yours spent the whole Cold War making a totally false equivalency between Us-Zionist imperialism and “Soviet imperialism” and claiming that the USSR’s righteous suppression of Jewish-led counterrevolution in 1980s Poland was the same as the American savages supporting the genocidal scum in Latin America against the heroic struggles of the workers and peasants. You also claim that the illegitimate terrorist entity occupying Palestine is the same as the heroic Palestinians, and that “terrorist” Palestinian resistance is as bad as Zionist aggression. If that’s not false equivalency I don’t know what is. Le Pen claims to be anti-NATO just as Trump did while campaigning. An anti-NATO “racist” is way better than a thousand “opponents of evil racist sexist homophobic fascism” who think neoliberalism and imperialism are good. Trump, as I predicted, turned out to be nothing more than a neoliberal, Israel First puppet of ZOG, which means you should love him now. Le Pen will probably be the same, but the platform she is running on is much BETTER than Macron’s in the mind of any true Leftist who fights against US imperialism and for the liberation of the working class. Of course you don’t care about those things. All that matters to you is fighting “racism” and supporting Black Lives Matter Unless They Are Killed By NATO”s Libyan Freedom Fighters. You have never fought to end racist neocolonial exploitation and oppression of Africa, and in fact know nothing about the actual internal situation there, but are obsessed with bringing Africans to Aryan countries in order to dilute the Aryan bloodline and destroy human biodiversity. That explains your popular front with neoliberal scum against “fascists” even if these “fascists” unfortunately do not keep any of their good promises once they are elected, only the bad ones, and turn out to be nothing more than neoliberal themselves. Although MHI’s policy is not to approve racist, anti-Semitic, etc. comments below articles in With Sober Senses, we have made an exception for the garbage immediately above. The purpose of the exception is to show that, although some people have scoffed at and dismissed our warnings about the emerging “red-brown alliance,” the threat is quite real. If the Stalinists have been the syphilis of the workers movement, you Dunayevskayaites have long been its crab lice. Comrades such as Jean-Luc Mélenchon and Tariq Ali have more political credibility in their little fingers than you people have in your whole bodies collectively. It’s an outrage that you smear them, and others who oppose neoliberalism, with the phony charge of “collaboration” with Trumpism. Your backhanded support for counterfeit, Democratic Party-led “Resistance” campaigns leads to objective support for pro-capitalist scumbags like Hillary Clinton and Emmanuel Macron. Such bizarre behavior and outrageous charges only isolate your miniscule grouplet even further. Methinks Hurt Hill does protest WAAAYY too much. His comment is chock-full of vile invective, but not a shred of actual argument. He obviously doesn’t like my statement that Jean-Luc Mélenchon and Tariq Ali implicitly urged collaboration with the National Front, but he provides no argument whatsoever that their actions weren’t implicit collaboration. The absence of an argument against me is not surprising at all, since it is simply the case that each and every eligible voter who abstained or cast a spoiled ballot, instead of voting for Le Pen’s opponent, increased her share of the vote. The charge that the Resistance is “counterfeit” is absurd. Four to five million people spontaneously took to the streets against Trumpism on January 21. That’s simply a fact. The charge that the Resistance is “Democratic Party-led” is both slanderous and false. crucial … that the Democratic Party not be allowed to divert, coopt, or hem in the movement as it develops. The real reason why Hill and those like him hate the Resistance isn’t that it is “led” by the Democratic Party, but that it is independent of them, their influence, their control. It is true that MHI is small. A large part of the reason is that our “anti-neoliberal left” opponents try to isolate us and prevent our ideas and perspectives from being taken seriously. (Hill’s rant is just one small example of that.) In order to grow, we must gain access to the resources they currently control and try to prevent us from gaining access to. Anyway, I’m opposed to Donald Trump, too, and the reactionary politics which he represents, domestically and internationally. So are comrades like Jean-Luc Mélenchon and Tariq Ali. I don’t think that a refusal to vote for the “lesser evil” constitutes “collaboration” with the “greater evil,” implicitly or otherwise. Your position is simply a rationalization for voting for people like Macron in France or Hillary Clinton in the USA. Fellow radicals are not working to isolate you, Andrew; your loopy politics does that. I’ve been aware of your tendency since I was a member of SDS. People used to look at you folks as essentially harmless windbags who love giving lectures to each other. Nowadays, with your attacks on the “anti-neoliberal ‘left’” it’s somewhat different. People look at what Dunayevskayaism has accomplished and what real leaders like Ali, et. al. have accomplished over the years, and they make their judgements accordingly. To accept the posing of alternatives as presented by the representatives of capitalism, and then to imbue any of them with a potential for real transformation is just accepting the current system of economy and life. That is what a qualified defence of Trump or Le Pen actually represents. We at MHI are not (nor should we be) indifferent to every struggle that goes on between the representatives of capital. 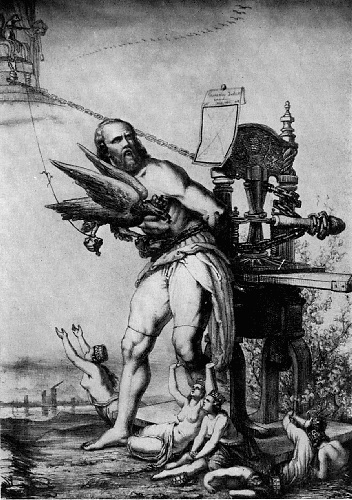 A democrat is preferable to a fascist, and saying so does not mean that the democrat is acceptable to those who would see transformation, but anyone who tries to make the system work better will not be presenting that transformation as an option, it is not in their power to deliver it anyway, even if they wanted to. The problem with many leftists is that they do not see that the extraordinary threat posed by Trump, Le Pen etc means that we must call for qualified, limited and temporary support for the candidate most likely to defeat him. If you think this is a non-starter as an approach then you need to explain; why? I apologize for the typo. It was indeed a typo, although “Hurt Hill” is rather fitting in light of Kurt Hill’s advocacy of politics that hurts billions of people by assisting Trump, Le Pen, and co. I earlier noted that Hill provided a great deal of vile invective but no arguments whatsoever. Ravi has now noted that Hill’s response likewise contains no argument. Unfortunately, I have to agree. I also want to point out Hill’s straw-manning. He writes, “If you truly believe that ‘anti-Trumpism’ is not being promoted by Democratic Party hacks like ‘Wall Street Chuck’ Schumer and Nancy ‘We’re capitalists’ Pelosi ….” But I never wrote or suggested such a thing. Instead, I challenged Hill’s slanderous and false claim against the Resistance that it is “Democratic Party-led.” Hill’s response cleverly(?) dodges the issue of whether the Resistance is led by the Democratic Party. This is all nonsense. First, there are many, many clear cases of attempts to isolate us, by e.g., refusing to debate us, expelling us from institutions, refusing to publish our work, etc. Second, as for the “loopy politics” claim, the issues are “loopy TO WHOM?” and “WHY?” The answer is that (1) our “fellow radicals” exclude, isolate, marginalize, and demean us, which (2) serves to exclude from “the left” those people with affinity to us and (3) serves to keep “the left” limited to fans of the “fellow radicals.” And (4) this mere sliver of the potential left happens to find our politics “loopy.” Surprise! Believe me, matters would be VERY different we had access to the resources that the “anti-neoliberal left” currently controls and tries to prevent us from gaining access to. For example, I’d love to debate Melenchon, Tariq Ali, Henwood, and co., one on one, in a fair fight. If such debates continued, year after year, it would be interesting to see how the composition of “the left” changes and how, in consequence, what is regarded as “loopy” changes. But I ain’t holding my breath for my “fellow radicals,” who allegedly “are not working to isolate” us, to willingly give us access to the resources they currently control! My impression is that you, and your comrades in the MHI, desperately want to believe that the “resistance” to Donald Trump is not being spearheaded by operatives of the Democratic Party. Fine, we have a disagreement here. I have attended a number of these anti-Trump proceedings since November, and my impressions of who is leading who is quite different from yours. But my opinion—which is shared by many other American radicals—is hardly “slanderous.” It’s simply an opinion to the left of MHI. Well, then, who is this “resistance” being led by? Certainly not by the trade unions, groups such as the NAACP, or grass-roots, community-based organizations. Such associations may be participating in the marches, pickets, etc., but they are not “calling the shots” or raising the “demands.” The Cuomos, Schumers, and Pelosis and their front groups are. Look at the speaker lists, the principle endorsers, and the funding streams that pay for such events. People who disagree with your assessment of Trumpism—and there are a great many of us—are to be “driven out of the left.” You people may have had a Trot origin, but deep down it’s obvious you are authoritarians at heart. We have belatedly approved Kurt Hill’s comment of June 9. Because it and his previous comments here are arguably in violation of our comment policies (https://www.marxisthumanistinitiative.org/our-policy-on-comments, items (3), (4), and (9)), we thought about not approving it. In the end, we decided to approve it, to show that we have no intention of censoring anyone and aren’t afraid of the pro-collaborationist “left.” But no further comments from him will be approved unless they scrupulously adhere to our comment policies. I responded, carefully and in detail, to Hill’s charge that “Fellow radicals are not working to isolate” MHI (or me personally) and that, instead, our “loopy politics” is what isolates us. His reply (of Fri, 9th Jun 2017 11:35 am) completely ignores what I wrote about this. Hill continues his practice of providing us with invective, but no arguments, when he dismisses my responses to him as “a series of polemical distinctions without differences.” Are we supposed to accept that conclusion on his say-so? That’s ridiculous. When a distinction has been made, the one who claims that it’s a distinction without a difference is the one who bears the burden of proof. But Hill doesn’t even try to substantiate his claim. Does Hill really fail to see any difference between a refusal to vote for the “lesser evil” that DOESN’T doesn’t increase Le Pen’s vote share, help elect Trump, etc. and one that DOES? Or is he only pretending that he doesn’t see it? In either case, his say-so that there isn’t an actual difference doesn’t cut it. Yes, I really would love to debate Melenchon, Tariq Ali, Henwood, and co., one on one, in a fair fight. I’m sure that they would come off quite well–in the eyes of the “anti-neoliberal left”–but I don’t judge success in terms of what people who helped give us Donald Trump think. Those like Hill, who show no inclination of helping to make that debate happen, shouldn’t throw stones about us being “authoritarians” and “purging the left.” It’s perfectly clear who the authoritarians purging the left actually are–the fact that Melenchon, Tariq Ali, Henwood, and co. aren’t debating us directly in a fair fight is not OUR doing. Moreover, to compare our desire for “the left … to stand for freedom and human rights for all once again” (a statement by MHI that Hill quotes dispprovingly) to McCarthyism is absolutely disgraceful. I’m not for censorship. I have nothing against the pro-collaborationist “left” peddling its propaganda in Russia Today, Breitbart, etc. But it isn’t legitimately part of the left in the traditional sense of those who fight for freedom and human rights for all; and in order to reclaim the liberatory content of what leftism is, it’s imperative to draw a line in the sand and make clear that the pro-collaborationist “left” is on the other side of that line. Hill tries to support his claim that the Resistance is “led” by the Democratic Party by pointing to “the speaker lists, the principle endorsers, and the funding streams that pay for such events.” Well, I looked the speakers’ list of the Women’s March on Washington, https://www.womensmarch.com/speakers/, and I see no evidence from it that the March was led by the DP. And how many of the 4-5 million people who turned out for the Women’s Marches could hear the speakers anyway? How many of these 4-5 million people were paid to attend (by the Jews of course, i.e., with cold hard cash Soros is doling out, https://wonkette.com/611411/sean-spicer-simply-aghast-at-how-much-george-soros-is-paying-us-all-to-protest-trump), as Hill and Sean Spicer would have us believe? And who pays for all of the town hall meetings at which constituents are battling their congresspeople? The whole line of argument smacks of conspiracy-theory nonsense. It’s based on Hill’s slanderous–yes, slanderous–refusal to accept that millions of people can rise up spontaneously and independently, driven by fear and hatred of Trumpism. And as I said earlier, “The real reason why Hill and those like him hate the Resistance isn’t that it is ‘led’ by the Democratic Party, but that it is independent of them, their influence, their control.” That’s another point to which Hill has failed to reply.